Original not current version as a then still traditional 3-stage circuit with 5654 input and E182CC driver. PX25. If memory serves, 'twas my first-ever tube amp. 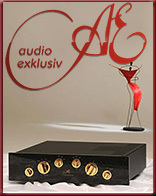 It so happened to run not on KT88, 6550 or EL34 but rare PX25 as reissued by KR Audio. This goes way back to the beginning of my reviewing career with SoundStage!. We lived just outside sunny San Diego. A private orange grove was our backyard. No shortage of vitamin C. At the time, the US public and I were duped into believing that one Joe Fratus from Rhodes Island designed Art Audio tube gear. It was much later when I learnt that Joe had just been importer and impersonator for the real deal, Tom Willits of the UK. It's 2018 now. The colourful Joe Fratus has long since vanished from the hifi trade. 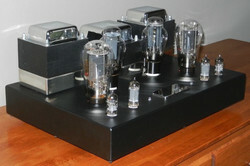 Still, memories of my very first valve amp encounter—a purist SET no less—remain those of moist fondness. Cherry. Popped. When it rains, it pours. That's true not just for the Irish west coast where we live now. Just days prior, I'd gained a review commission for an Italian Tektron integrated which may run on 45, 2A3, 300B and PX4 in single-ended or parallel single-ended mode. Interchangeably. And with PX25. 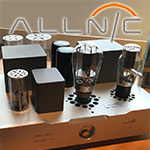 Then David Beetles, Kang-Su's Canadian-based global distributor for his Allnic cables, called. 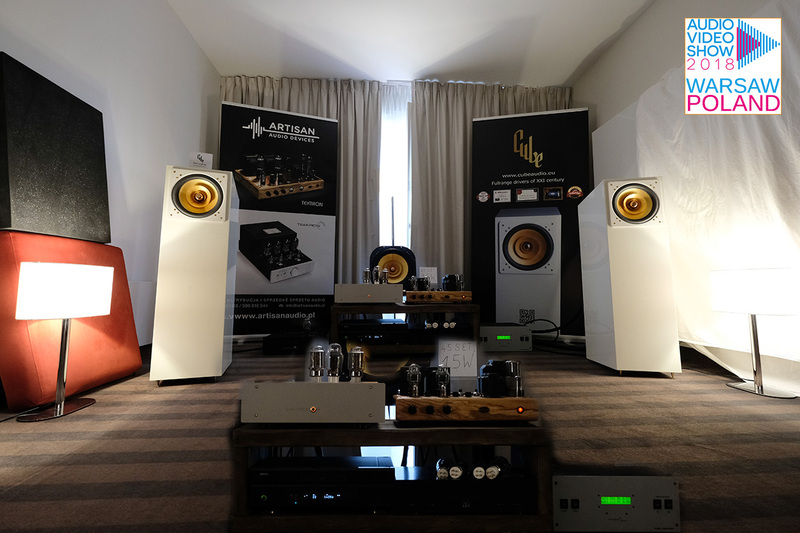 It was a heads-up on reviewing their new Allnic PX25 SET monos. One pair was headed from Korea to a Dutch dealer. Said buyer had kindly agreed to ship his precious cargo to County Mayo. What a dealer! 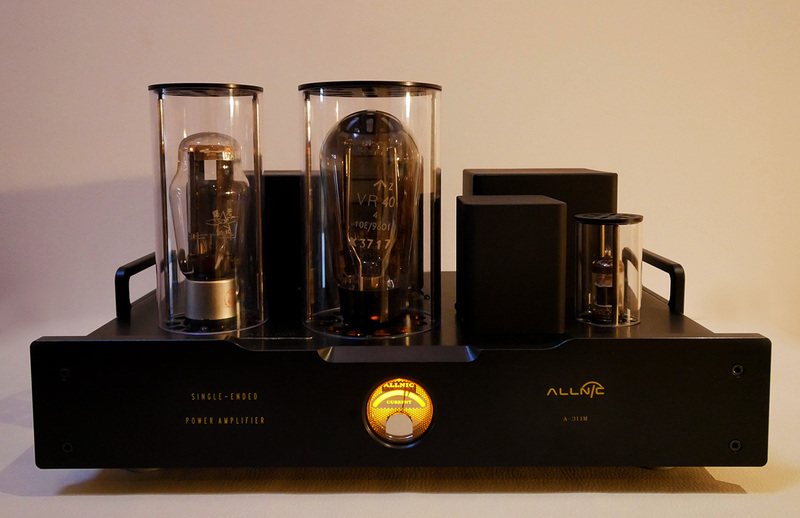 Because their designer Kang-Su believes in 100% optimized circuits and output transformers, his A-311M monos can take either AD1, PX25 or 300B. 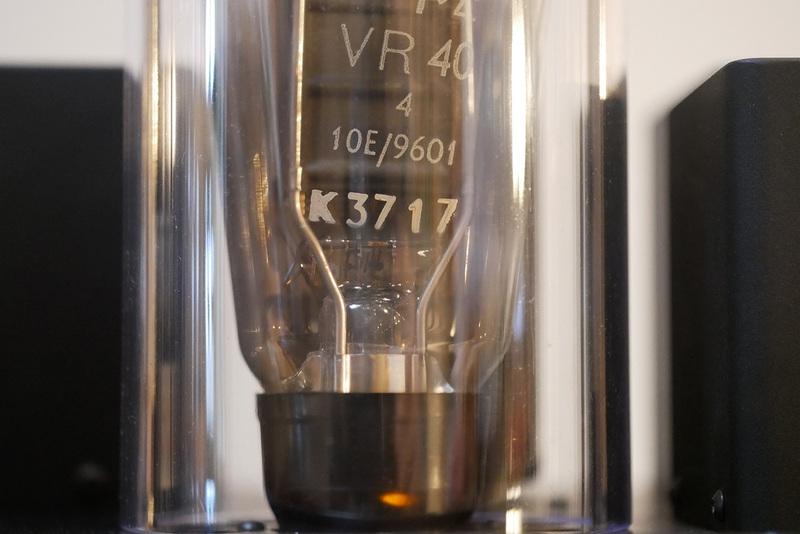 Whilst they share the same E810F pentode run as triode for voltage gain and the 5U4G-type rectifier in a 38x19x28cm WxHxD chassis, they're not meant to hot swap. The interstage and output transformers each are specific to the direct-heated power triode of choice which is determined at order time. 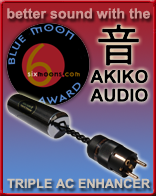 Besides harmonic flavour differences, the three available types generate 4, 6 and 10 watts into 8Ω respectively. That's pure class A with zero global or local negative feedback. Today's version has six moons… watts. Today's two-stage generation with interstage transformer. 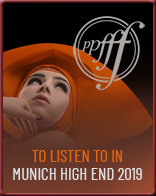 Allnic's propaganda mentions full engagement. That's not about mixed-martial-arts cage fighting. It's about fighting for low distortion in their output transformers. Conventional equivalents parallel their secondary windings to offer 4/8/16Ω speaker taps. Kang-Su contends that rather than sitting pretty at idle, such unused windings absorb parasitic oscillations. This generates faux signal to distort the actual music signal. Allnic's solution is to fully connect all their secondaries regardless of what tap (8/4Ω or 16/8Ω depending on order) is switched on. The claimed upshot is zero loss of transformer efficiency and no fake news from secondaries which aren't really idle and mum. The nickel/iron core guarantees "higher inductance with fewer windings for higher bandwidth". 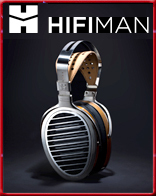 The latter is 20Hz to 20kHz -1dB. S/N ratio is -76dB. Voltage gain is 24dB. Allnic further specify less than 5% voltage regulation for their output trafo for "improved power transfer from lower regulation factor, hence increased current speed and dynamics." 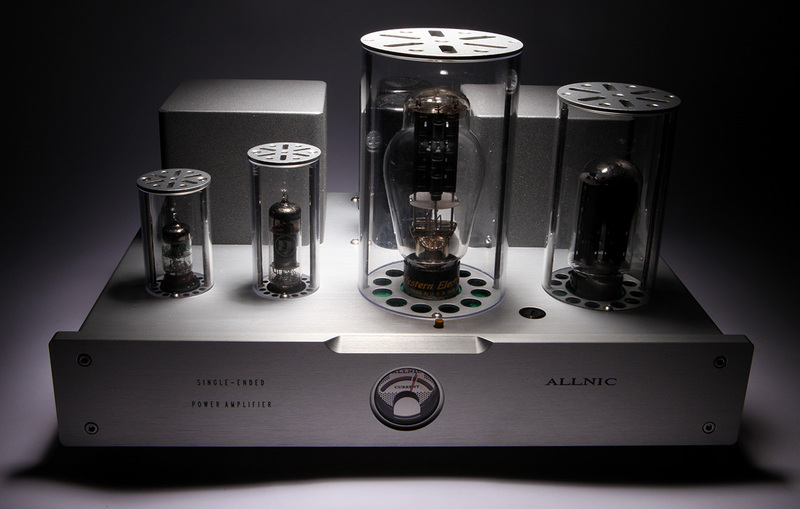 An analog bias meter confirms power triode fitness. The needle all the way over to the left signifies a failed output tube. Hard right points at the rectifier slumming it. 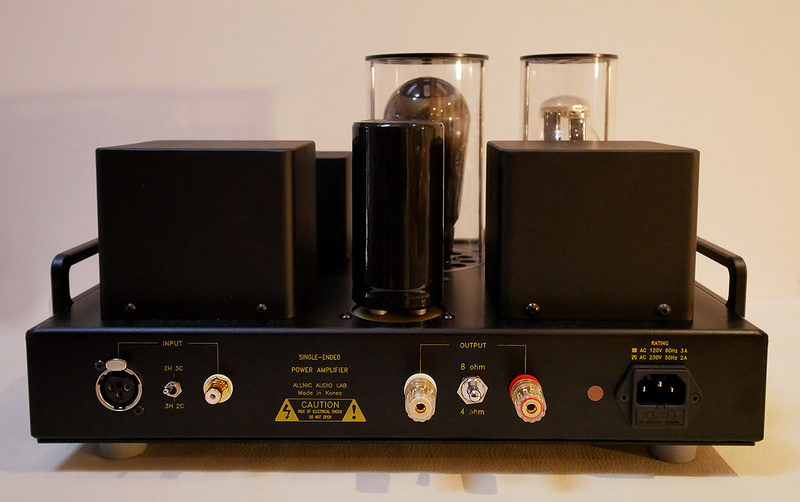 Actual power triode bias is automatic to require no user intervention. That too is different from the original 3-stage version which had manual bias. The company's patented gel-based tube dampers promise to reduce microphonics typical for direct-heated triodes by mechanically decoupling them from the chassis. By now thinking bottle washers very much not on the minimum wage still have a question. Just who aside from painfully dear new-old-stock providers like Cunningham, GEC and GEC-branded Marconi and Osram even make PX25 in the blessed here/now, not blasted antiquity? 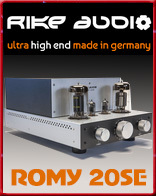 The not cheap but reliable answer is KR Audio from Czechia; and TJ/Full Music from China. Hence current boutique options remain on hand. When we spoke, David Beetles was negotiating price with a foreign source for 100 pieces of GEC-made NOS PX25. As such he couldn't confirm yet whether Allnic might have inventory; and at what end-user price. 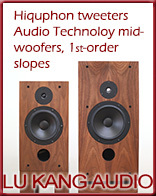 The stock PX25 supplied is by KR Audio. For the stock rectifier, Allnic were looking at the Chinese military 5Z3PG but I'd see what the Dutch loaners came with. David intimated they might arrive with GEC PX25 and GEC 5U4G. That's because Armin the importer is a happy tube roller. Like Oscar Wilde, he has simple tastes. He's always satisfied with the best. Nenuphar with 10-watt SIT-1 single-ended transistor amps (single stage, no degeneration) from FirstWatt's Nelson Pass. Chai Baba the Bengal approves. A six pack of watts only goes so far. On paper. In practice, if your speaker's sensitivity rates 93dB like these Cube Audio Nenuphar, one watt generates 87dB of sound pressure at 2 metres from them. 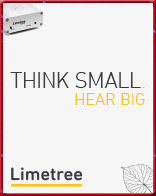 That's rather loud. 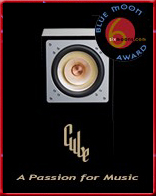 In fact, Cube Audio themselves demonstrated these at the Warsaw 2018 show with my subsequent Tektron loaner. 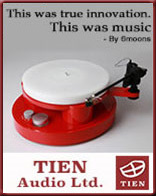 It was fitted for the occasion with just one 45 per side to, gulp, make 1½ watts [see below]. At more than thrice that, on these loads the Allnics would rock that other six pack – worked-out abs. That's a function also of a happy impedance match. "Hello. My name's Seth. I'm high but feeling rather low about it." "Welcome Seth!" 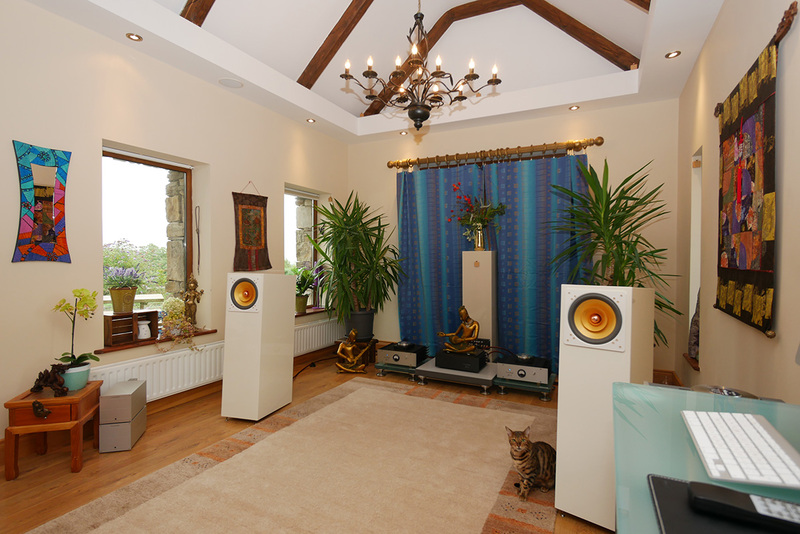 Most modern speakers prefer amplifiers with low output impedance. Unless deliberately designed otherwise like our exotic SIT-1, that's the native domain of transistors. Widebanders meanwhile—here I mean speakers whose solitary drivers are operated across the entire audible bandwidth without auxiliary tweeter or woofer—tend to combine light paper membranes with hugely powerful motors. Being thus very well damped or controlled as is, triple-digit damping factors from amplifiers cause excess dryness; premature bass roll-off by routinely an octave if not more; and that pronounced presence emphasis colloquially known as the Lowther shout. It's probably the reason why most lovers of widebanders mate theirs to single-ended tube amps sans negative feedback. 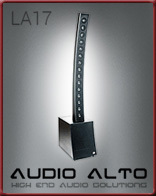 Such amplifiers exhibit high output impedance often equal to a speaker's own impedance, i.e. 4 or 8Ω. 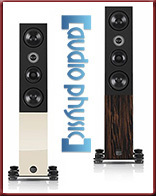 Which makes for single-digit damping factors to spell rosy for this speaker sort. 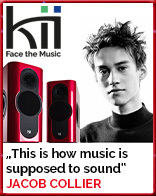 But it's really not ideal for your typical multi-way with complex filter network, big reactive woofers and one or more phase-shifting impedance-spiking ports. Proper tools for the job and all that (c)Rock. 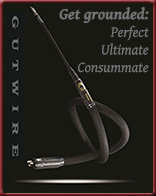 Incidentally, this tool comes in black or silver and with a switchable convenience XLR input. That accommodates a balanced preamp without a cable adaptor though of course this amp remains single-ended from input to output.